This month's recipe swap theme is Beautiful Beginnings...BREAKFAST. It's my favorite meal of the day, but probably the one I cook least. I'm anxious to see your favorite breakfast recipes!! 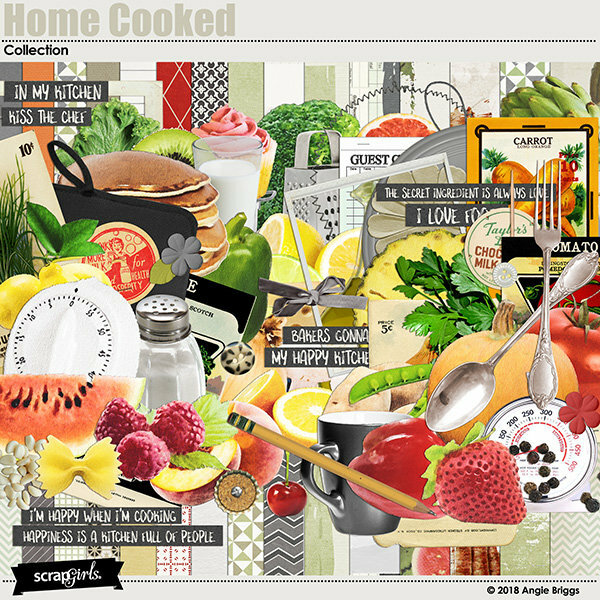 To participate in the Recipe Swap, please email your 4"x6" high resolution (300 dpi saved a high quality - (1200 x 1800 pixel) Recipe Card to sg.sodscrap@gmail.com by MIDNIGHT, TUESDAY APRIL 30, 2019. Please post your recipe in the Recipe Card Gallery and post a link in this thread. You will receive a download link from the store for your freebie. Oh yippee! Breakfast, the best m meal of the day! Hmmm, I'll have to see what I have. I don't cook breakfast that often and I think I've scrapped the recipes I use the most. But I'm sure I have an oldie but goodie I haven't scrapped. Or if all else fails, my mom does! Tofu scramble -- it really IS good!